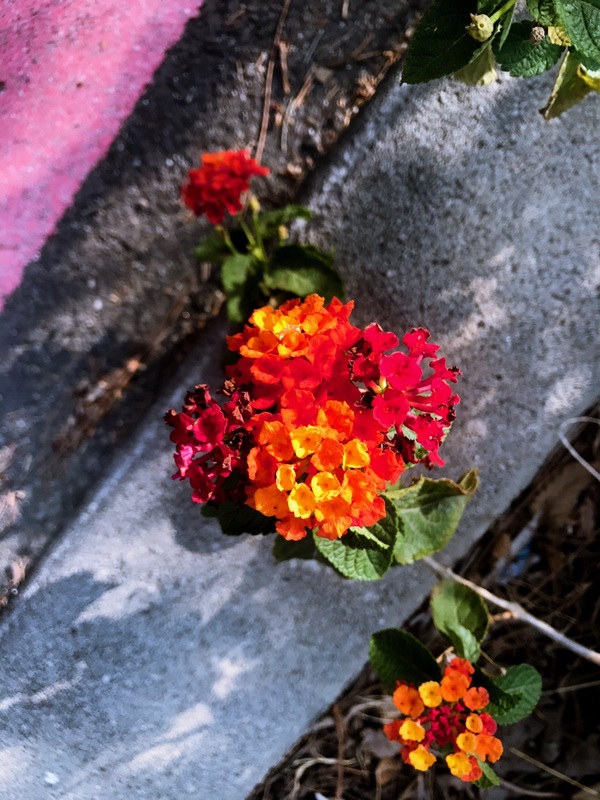 I was walking around this past weekend and stumbled across this flower growing in the middle of a concrete sidewalk. It reminded me of one of a quotation from Disney's Mulan, “The flower that blooms in adversity is the rarest and most beautiful of all.” While setbacks and detours can seem like the end of the road, they rarely are. In fact, they're often just the beginning. We know that right around this time is when high school students start figuring out where they're headed in the fall. Maybe you've already gotten a rejection letter, maybe you're wondering if one will arrive soon, but regardless of your situation, we know rejection stings. Here are some thoughts to keep in mind as you navigate one of the hardest parts of the college process. P.S. Even if you're already in college (or even post-college! ), Alejandro's thoughts are timely and helpful. We will all experience rejection throughout our lives and it's always useful to remind ourselves to keep a forward-looking mindset! "Thank you for your interest in (insert college name here). We regret to inform you that due to a historically strong application class…" You suspected you’d be reading these words as soon as you saw a small envelope in the mail rather than a big 12x15 one that screams, “You got in!”. Rejection hurts more than you’d like to admit. You feel numb standing in the living room holding that benign looking letter that crumbled your dreams in an instance. Your mind wanders to what your family will say. Maybe they won’t be angry, but feel genuinely bad for you. Sometimes pity is worse than outright anger. Maybe they’ll treat this rejection as an indictment of your habits. The thought of their judgement doesn’t anger you because at the moment you’re also questioning yourself and asking over and over, “Where did I go wrong?”. You think about the chem class that didn’t go too well sophomore year, the nerves you felt while taking the SAT’s, did you really have enough extracurriculars? Realistically, you could’ve done everything to the best of your abilities and for whatever reason your college of choice still didn’t work out. Everyone’s going to tell you to brush it off and keep on marching. Easier said than done. Sometimes bland platitudes just aren't enough. Sit down and take some time to be brutally honest with yourself and ask if you made any preventable mistakes. Then, ask yourself how to avoid them in the future because yes there will be a tomorrow even if it doesn’t feel that way right now. Remind yourself that you’re a capable, driven, intelligent individual. Watch Rocky. Read "Do Not Go Gentle into that Good Night". Listen to Alibaba founder Jack Ma describe how he got rejected everywhere from KFC to Harvard and still had the grit and courage to launch a business. Failure is only unacceptable when you don’t bounce back from it. Not everyone is going to find the college of their dreams because discovering the perfect match doesn’t solely hinge on the institution. You play an immense role in deciding what your college experience is going to look like. Constantly thinking about the “what if’s” will detract from your first year and before you know it you’ll prove yourself right. You would have been happier at your first choice as long as you refuse to give your school the benefit of the doubt. Of course, I’m not saying you shouldn’t be sad or angry, you have every right to feel that way. But you have to turn all that emotion into determination without letting it affect your mental and emotional health; use that motivation to your advantage and don’t let it infringe on your right to happiness. College is pretty great; we might not always get it right the first time—take it from someone that didn’t get into their first or second choice and then wound up transferring schools—but we’re going to be more than alright.